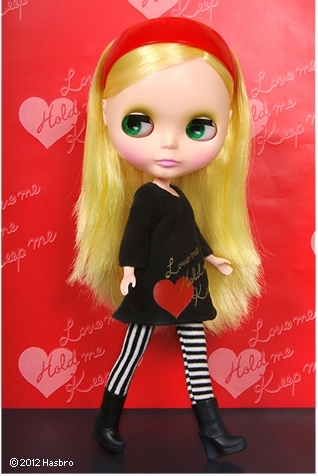 Following the stunning release of "Simply Delight", we welcome a new Simply into the Blythe line and she is "Simply Lovely"! She's your cheerful new best friend ready to wear what ever fashion you choose! "Simply Love Me" is like a cherished best friend. 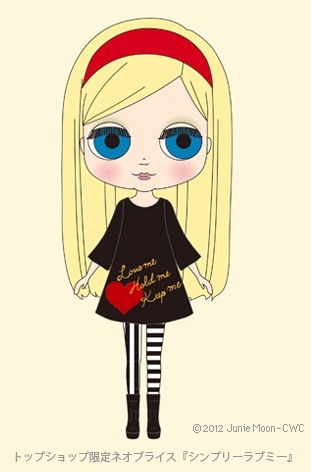 Her sweet tunic dress has a pop graphics with a bright red heard and her message ribbon. The text reads "Love me , Hold me, Keep me". Her striped tights are bold with asymmetrical styling. She wears the popular wedge boot style shoe. 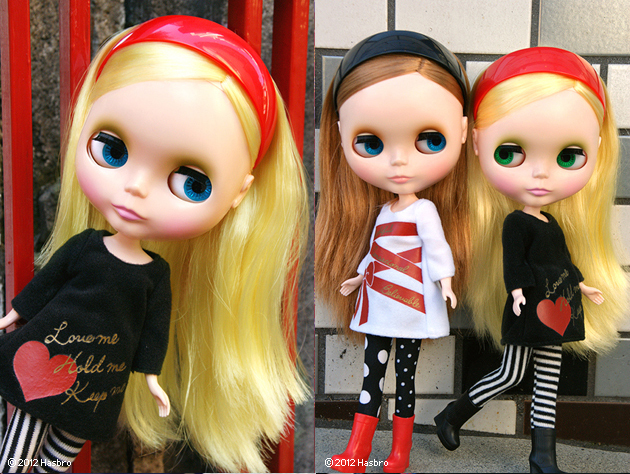 Her new, thick red hair band pops next to her bright blonde hair. The long and sleek cut of of hair is perfect for many kinds of styling. Her green eyeshadow, pink lips and blush give her a clean and fresh look. She's fresh faced and ready to model for you! Set Includes: One piece dress, tights, hairband, wedge boots, underwear and stand.